According to the Kremlin, Putin thanked Trump for the tip from the CIA that helped authorities thwart a terror attack in Russia. 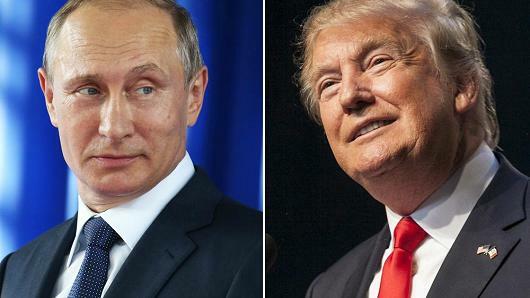 Russian President Vladimir Putin telephoned U.S. President Donald Trump Sunday to thank him for a CIA tip that helped thwart a series of bombings in St. Petersburg, the Kremlin said. No word on whether he’d stop interfering in our elections, so it’s unlikely that’ll stop. I wonder if Trump asked Putin for tips on how to get rid of that meddlesome special counsel.